Lucas’ remarks were followed by a video introduced by Fisher’s daughter Billie Lourd celebrating her life. 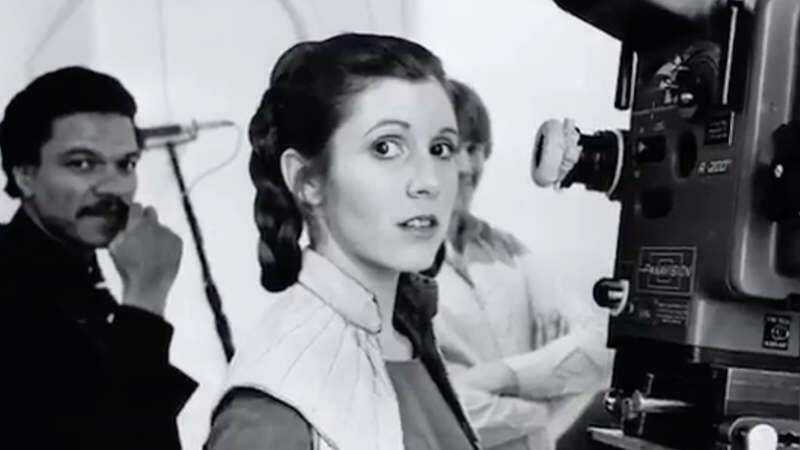 Set in part to David Bowie’s “Rebel Rebel,” it, yes, focuses on her time as Princess Leia, but also highlights Fisher’s marvelous, indefatigable sense of humor. Watching the video, it’s impossible not to feel sad she wasn’t on stage busting everyone’s balls with her cutting wit, Gary snoring at her feet.